Nicole rushes into her office at WXIR, where Abby and Jerome await her. The sound of the opening door causes Abby to turn toward the door, exciting her as she steps toward Nicole. ABBY: Nicole! Just in time! Nicole stops in her tracks as she sees Jerome at her computer. Her demeanour changes instantly, as she points to Jerome while speaking to Abby. NICOLE: What's he doing here? Nicole, not waiting for Abby to answer, immediately shoos Jerome from her desk. NICOLE: And he's not going to be sitting behind my desk on my computer. I've got sources on there I'd like to keep anonymous. Jerome jumps up from Nicole's desk chair and steps away as Nicole sits down in it. NICOLE: Oh you will be if I find out even one of my sources backs out of the story for the special. Abby steps in, nervously, but firmly supporting Jerome. ABBY|: Nicole, I wouldn't worry about Jerome. He's on our side in this. Nicole turns to look at Abby, then over at Jerome. She points at Abby, looking her squarely in the eyes. NICOLE: I'm holding you to that. Jerome looks at Nicole, feeling uncomfortable staying, he looks at Abby, and nods. JEROME: You know what, it's fine. I gotta get going anyway. JEROME: Yeah. Look, I had a great time, even with the interruptions. Abby takes Jerome's hands and kisses his gently on the lips. ABBY: So did I. Let's do it again? JEROME: You know it. I'll call you. Jerome kisses Abby again, before taking off out the door of Nicole's office. Abby then looks back to Nicole. ABBY: There! Now it's just us. NICOLE: Good. Look, try to keep your dates out of our personal business stuff, okay? There is way too much as stake here, regardless of whether he supports this story or not. I just want to keep this under tight wraps until we go to air. Abby throws her hands up. ABBY: Fair enough! I totally get it. After a moment, she sighs, and turns her chair to look at her screen. NICOLE: Good. Okay. Now, what am I looking at? ABBY: Well...that's what I was gonna tell you. Nick tracked us down on our date today. Seems he had been trying to get ahold of you for awhile to give you this. Abby leans over and moves Nicole's mouse over to click the tab where Nick's PDF file is open. Nicole reads the headline, causing her eyes to widen immediately. In Horton Town Square, a podium is set up for a press conference, as Justin, John, and Tyler stand by, uncomfortably mulling over their situation. Justin steps toward John, and asks him a question. JUSTIN: John, if you don't mind my asking...just what did you mean about not underestimating Nick? I mean, come on. He's a...cocky kid with a criminal record. Surely there's no way he could run Titan, we have rules stating he couldn't take over if he'd committed a felony. JOHN: And I'm sure Nick is also plenty aware of the number of crimes Brady and Victor have committed over the years. Not to mention the dozens of crimes neither of them have ever been held criminally accounatable for that they probably should've. He's not gonna let that slide, Justin. If you poke the tiger enough times, he's gonna bite back. John looks over as he spots Kate, Lucas, and Billie arriving at the square. JOHN: Besides, that's not the biggest thing I have to worry about with him. Justin looks on at John, puzzled by his vague last statement, but before he can say anything, John grabs the attention of Billie, who nods in recognition of John's greeting. They stand by Tom & Alice's tree, and huddle together, speaking quietly. BILLIE: Okay, what did you find out? JOHN: This kid is in up to his neck. BILLIE: Well, I figured that. Out of curiosity, what did he whisper to you at the meeting? John shakes his head, looking over his shoulder to ensure the others aren't approaching. JOHN: He said he knows about my plan to help save Roman. Now that can mean only one thing. BILLIE: Yeah, but what if he's bluffing? JOHN: How is Nick Fallon gonna find out about our mission unless he's working for the guy? Billie sighs, knowing the truth of the situation, and realizes the gravity of it. JOHN: There's only one person that can be behind this, and it means that this goes way deeper than we thought. It's GOT to be Stefano. BILLIE: I'll contact Steve and give him the heads' up. Billie heads out of the square, phone in hand, preparing to call Steve, as John hangs back, looking over at the rest of the crowd at the square, as Nick shows up, looking ever the image of smugness. Anjelica sits in the back of her limo, alone. Cell phone in hand, she looks out over the city as it moves past her. Finally, someone picks up. ANJELICA: (into phone) We have good news. He's got it. Titan is in our hands now. 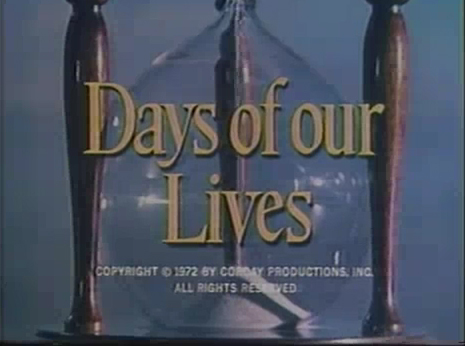 Stefano sits on the DiMera jet, finishing a martini as he holds the plane's phone up to his ear. He enjoys the end of the drink and laughs heartily at the news. STEFANO: (into phone) Excellent. And once I take care of our business here in Italy, we can celebrate your victory as state governor, yes? Anjelica smiles wryly as she answers Stefano. ANJELICA: (into phone) I look forward to it. You still haven't explained to me exactly what you're doing in Italy. STEFANO: (into phone) Nothing for you to worry about. This is a little project of mine I need to handle...on my own. Stefano looks out the window, looking stern as his plane descends into Aeroporto Elba. Stefano sits in the DiMera jet, looking pensively out the window as the plane makes it descent into Aeroporto Elba on Elba Island, Italy. As he looks out over the island, the pilot makes his announcement. PILOT: (over intercom) Good evening, Mr. DiMera, we are about to make our final approach into Aeroporto Elba, please prepare for landing, and fasten your seatbelt. As Stefano fastens his seatbelt, he speaks with his attendant, who passes by on her way to her seat. Maria, the attendant, stops and stands by Stefano's seat, looking at him with a warm smile. STEFANO: Is everything ready for my arrival? MARIA: Yes, I spoke with the driver. They've already arrived, and they're ready to take you to the yacht immediately upon your arrival at Elba Island. The ship to Capraia Isola is manned and ready for you to board as well. STEFANO: Thank you, my dear. Maria leaves for her seat, leaving Stefano alone. He thinks to himself about his upcoming plans. STEFANO: And once I'm on the compound, my plans for Roman Brady will finally be realized. Stefano sits back in his seat, a sense of comfort washes over him. Sheryl walks back into her motel room, taking her handkerchief off her head and removing her sunglasses. She shakes out her dyed-red hair before flopping down on the edge of her bed, smiling widely. SHERYL: Well THAT could NOT have gone any better. Sheryl hears a knock on the door, and gets up, heading for the door. Checking to see who it is, she opens it immediately upon recognizing Jerome through the window. SHERYL: Come in, come in, come in. Jerome walks inside, a somewhat shaken look on his face. JEROME: Hey, how'd it go? SHERYL: Better than you could imagine. We have new leverage we can use against Titan if they keep trying to push the oil sands project through. Jerome looks at Sheryl, surprised and confused. JEROME: I thought you were done with all that? Isn't time to cut and run and protect yourselves here? That was what this whole disguising yourself as Nurse Crystal Clarke thing was meant to be about. Convince Jordan to leave town with you, and move on with new identities. SHERYL: Well...let's just say I had a change of heart after today. JEROME: What's that supposed to mean? Sheryl turns around, positively beaming. SHERYL: Because whatever vote Titan takes on anything is completely null and void. Jerome looks at Sheryl, stupefied. SHERYL: Let's just say that...rumours of Brady Black's demise have been greatly exaggerated. Jerome's eyes widen, as Sheryl starts to laugh at her great fortune. Nicole turns quickly back to Abby, stunned by what Nick's presented to them. Abby nods, stepping toward Nicole, who's still sitting in her computer chair. ABBY: I know. I was...floored by what was in there. NICOLE: This is enough to destroy Titan completely. This is huge, we can't afford any mistakes on this. Nicole gets up from her seat, and prepares to take something from her bag, when Miles bursts into her office, startling Abby and Nicole. MILES: Nicole! You need to get down to the Town Square right now. Titan's holding a press conference. Looks like it's a big one. Nicole turns to Abby and points at her while giving direction. NICOLE: I need you to make a list of everyone implicated on that document, and find out who wrote all their press materials. I'll go through the list when I'm back. Abby springs into action, sitting herself down in Nicole's chair, and launching herself into the task, as Nicole packs her bag back up and races out to the press conference. John steps back into the Town Square, as Nick approaches Tyler near the podium. They engage in a somewhat secretive chat. NICK: I'm gonna need you to play along with this. I don't think I have to explain why, but you are a crucial part of this handover. TYLER: I don't see why I have to be involved in any of this. NICK: Need I remind you that your very freedom rests in whether or not you can play nice for the cameras. Unless you want the world to know that you've been running a shell corporation used primarily for money laundering and bankrolling a failing enterprise all this time. Tyler sighs, looking down as Nick threatens him. Once Nick finishes, Tyler looks up at Nick, and shakes his head. TYLER: You're in way over your head, kid. NICK: No more than you are. Nick turns to step toward the podium, as Billie returns to the square, having finished her call to Steve. She steps over to John's side. John looks over to her, and she nods, before stepping over to stand with Kate, Lucas, and Justin. Kate, Lucas, and Justin all stand around, looking sombre. JUSTIN: So...who wants to put money on how long before he's thrown out of the tower by security? KATE: Less time than you think. LUCAS: That's fascinating, Mom. Especially since you're part of the reason he was made CEO in the first place. Kate turns to face Lucas, agitation in her tone. KATE: I had no choice, and you know it. LUCAS: Yeah, you keep saying. Too bad we don't know why your hands were tied or we might've been able to change your mind. KATE: Ohhh trust me. Lucas, there's no changing my mind. Like I told your sister, I'll still come up trumps on this. Just you wait. Lucas, Billie, Kate, and Justin all look up, as Nick steps up to the podium. As he does, Nicole arrives with her cameraman, ready to get the footage from Nick's press conference. John looks over at Tyler, who stands behind Nick, trying to hide his frustration at this turn of events. Nick looks out into the crowd, and smiles broadly. NICK: I think we can get started now. Welcome everybody!